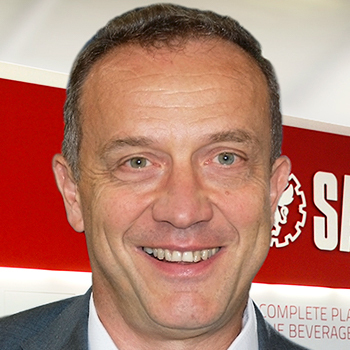 Packaging Laboratory R&D Director, Sacmi Imola S.C.
Compostable PLA coffee cups is an important market. Straight PLA is used if is reached enough crystallinity. This presentation will show the key factor for manufacturing PLA compostable coffee cups. A step further is compostable barrier solution. This is possible thanks to the evolution of the technology: a simple 5 layer (PLA/ tie/barrier/tie/PLA) solution is shown. Fiorenzo has more than 30 years of experience in SACMI Imola in the field of technology in the field of packaging and plastic product and process. He has authored and co-authored in scientific publications and has upwards of 80 patents. Today he is the Packaging Laboratory and R&D Director. Fiorenzo Parrinello has an education in Industrial Chemistry and is also a member of the Advisory Board of the master degree in Industrial Chemistry.